ABC News in Australia to receive major upgrade to facilities. Montreal, June 2016: Grass Valley has entered into a contract with the Australian Broadcasting Corporation to provide one of the largest single system technology upgrades ever undertaken in Australia. The long-term project represents a major technology refresh and replacement in its studios across all Australian states. The cornerstone of the system will be Grass Valley's GV STRATUS Video Production and Content Management System solutions that include EDIUS Nonlinear Editing Software, K2 Summit 3G Media Servers and other Grass Valley core technologies. NETIA will provide NETIA Radio-Assist 8, while the Associated Press will provide its ENPS multi-platform news production system. Both will be deeply integrated into the GV STRATUS system. 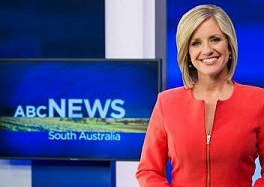 The installation will be implemented over two and a half years in each of the Australian Broadcasting Corporation's major news and current affairs facilities throughout the country. Grass Valley will be responsible for all facets of the design, planning, implementation, commissioning, training and ongoing support of all systems.